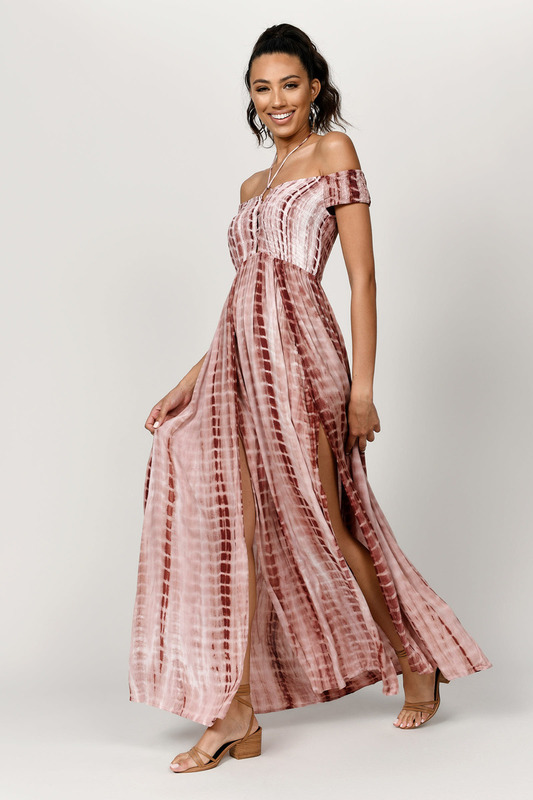 Check out Tobi's Let It Be Off Shoulder Maxi Dress A dress you have to have on vacay, the Blue Let It Be Off Shoulder Maxi Dress. 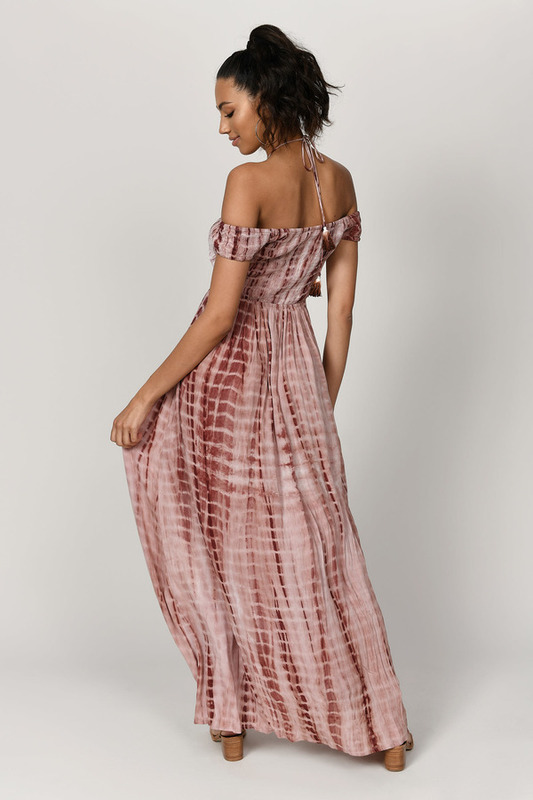 Soak up the scenic views in this halter off the shoulder tie dye dress with high slits for days. Just add sunglasses. Bon voyage!